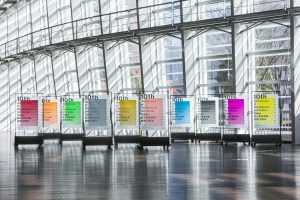 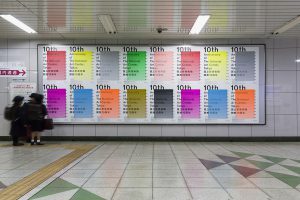 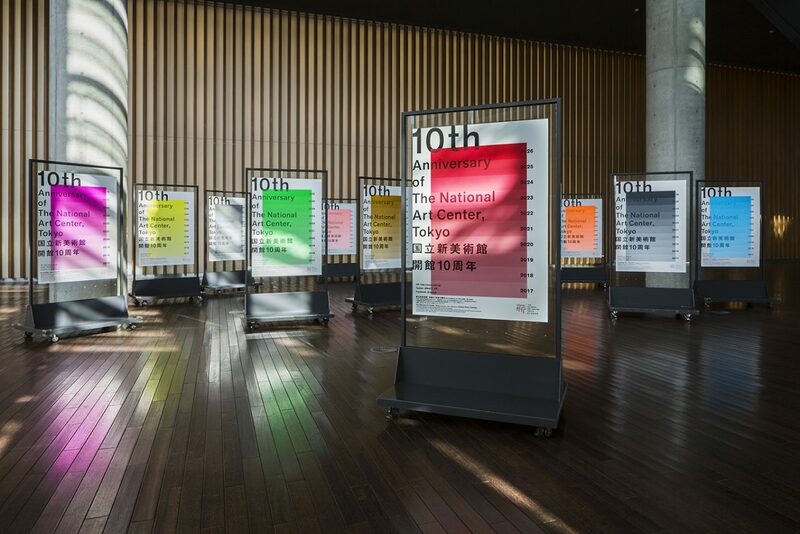 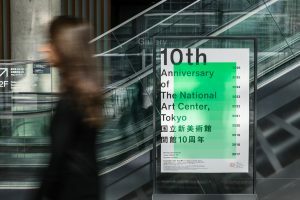 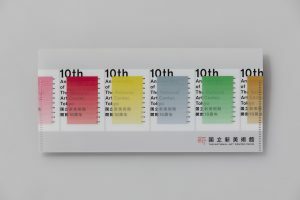 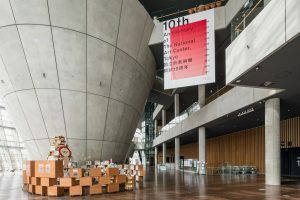 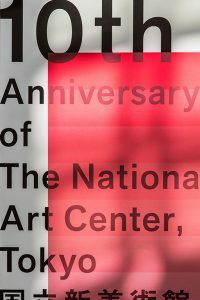 To celebrate the 10th anniversary of The National Art Center, Tokyo, pieces were developed visually commemorate the anniversary including posters. 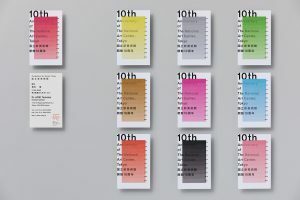 The visual theme is "10 gradations". 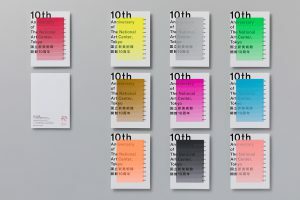 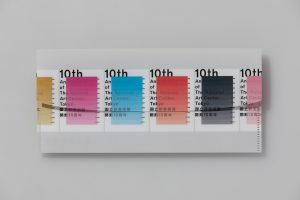 These ten layers of gradient colors which gradually increase in strength are a compilation of the last ten years as well as a symbol of the next ten years to come. 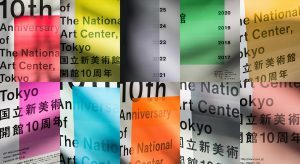 The posters incorporate "10 colors of the future" each representing a different theme, "Creation" "Light" "Experience" "Hope" "Attraction" "Love" "Ascension" "Challenge" "Mystery" and "Humanity".